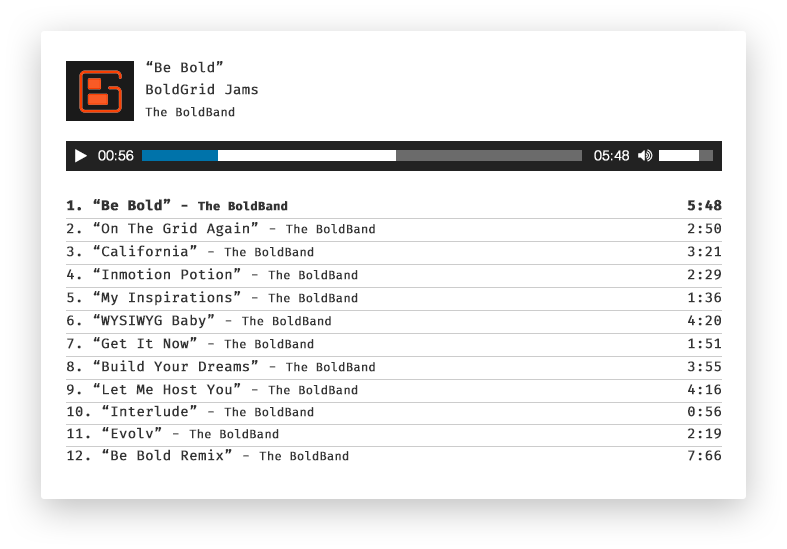 BoldGrid comes equipped with everything you’ll need to showcase your music. Use our WYSIWYG editor to easily create your website, allow fans to hear your latest tracks using the drag-and-drop playlist generator, and easily sell music and merchandise using WooCommerce. 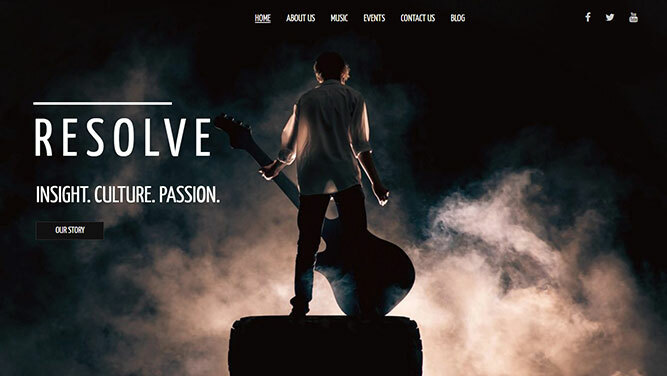 WHY CREATE YOUR Music WEBSITE WITH BOLDGRID? 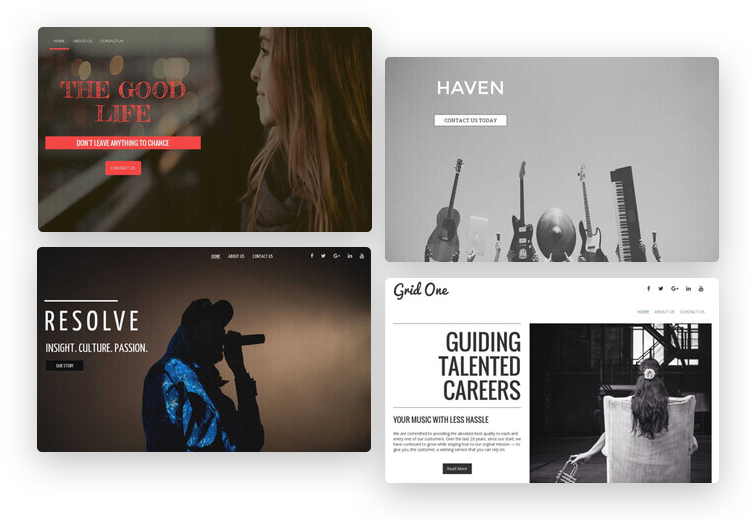 BoldGrid’s music website templates are the best way to showcase your music on the Web. 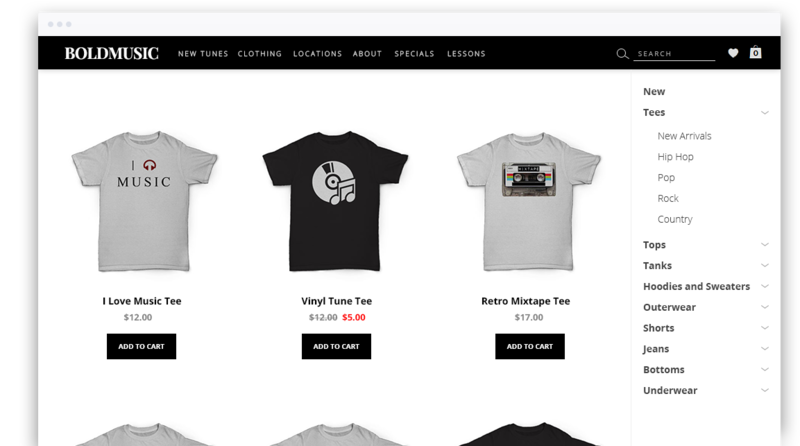 You can easily post your music and sell tracks and merchandise using WooCommerce. The BoldGrid Post and Page Builder allows you to easily create rich column and row-based layouts with the WordPress front end editor — without any coding or programming knowledge. 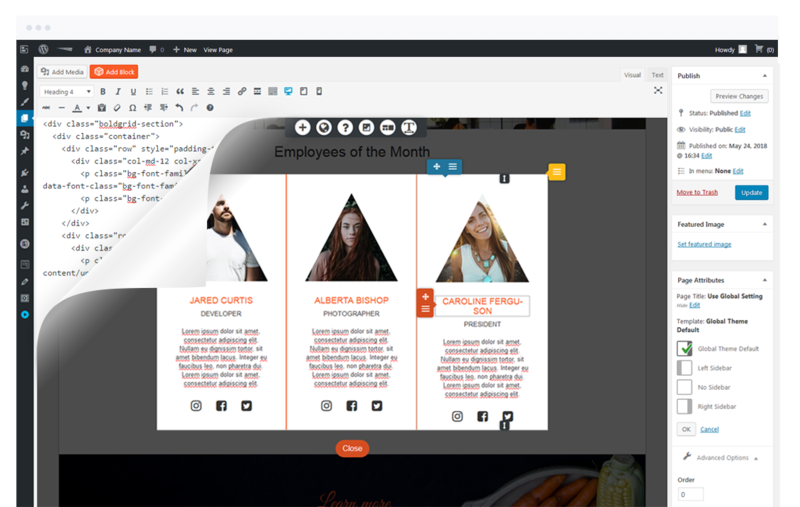 The Post and Page Builder by BoldGrid includes both Visual Editing and Text Editing modes, allowing you the ability to edit and design however you see fit. Use BoldGrid’s drag-and-drop interface to easily upload and post your tracks your website. Visitors can stream directly from the built in audio player. Adjust the size and other visual features using the WYSIWYG editor. WooCommerce is a FREE eCommerce plugin that integrates seamlessly with WordPress. Combined with BoldGrid’s website editing features, you can sell your latest songs, merchandise, event tickets on your website.